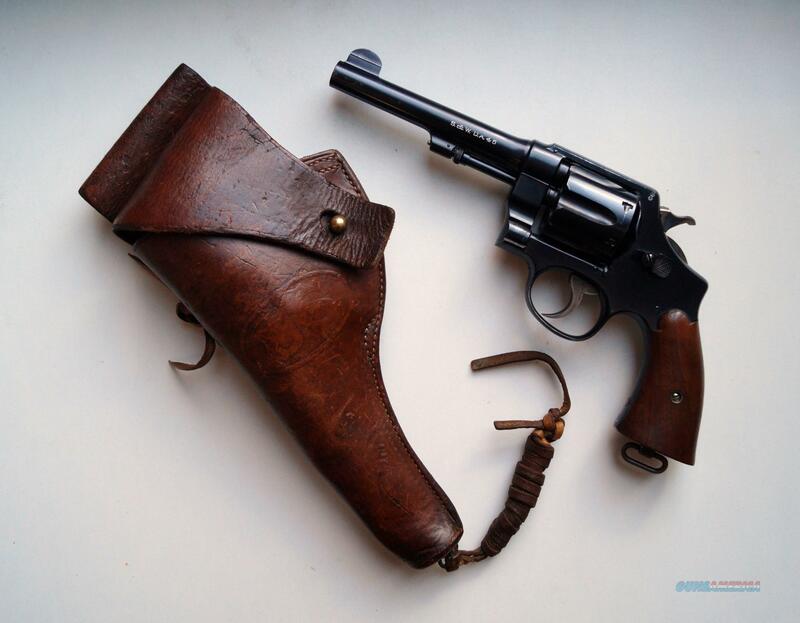 Description: THIS IS A SMITH AND WESSON MODEL 1917 U.S. ARMY REVOLVER, .45 CAL. THE PISTOL IS IN EXCELLENT CONDITION, ALL ORIGINAL, NUMBER MATCHING, VERY GOOD BORE AND GRIPS, MECHANICALLY CORRECT AND TIGHT. THE PISTOL COMES WITH AN ORIGINAL 1917 DATED HOLSTER. IT WOULD BE HARD TO FIND ONE BETTER THAN THIS ONE.